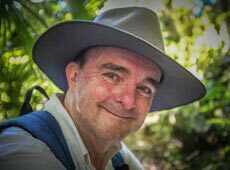 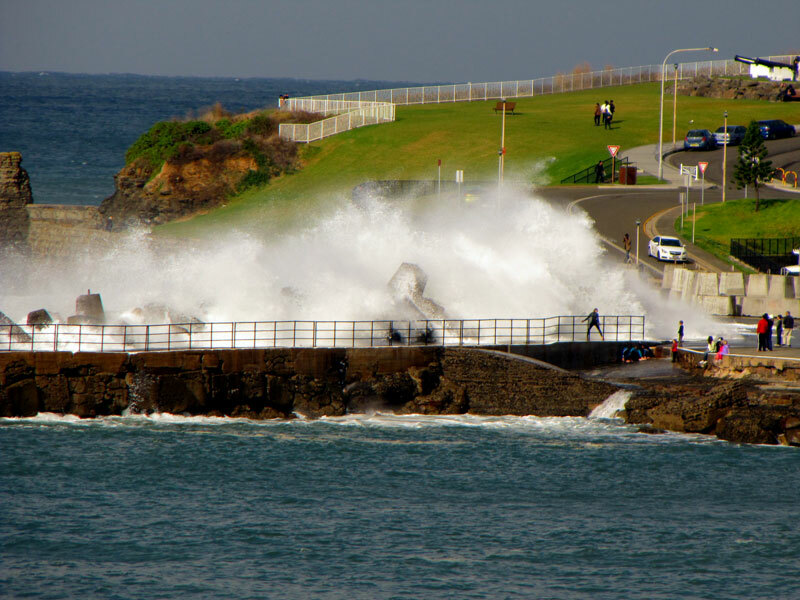 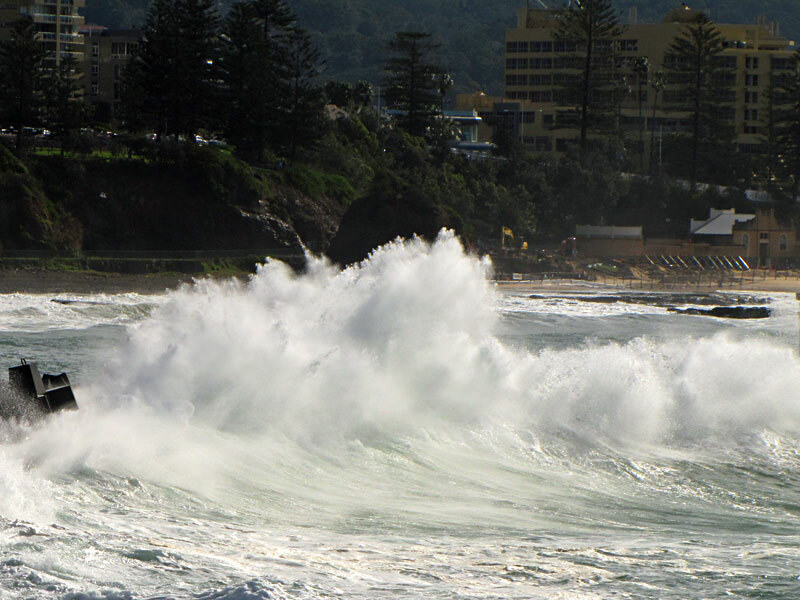 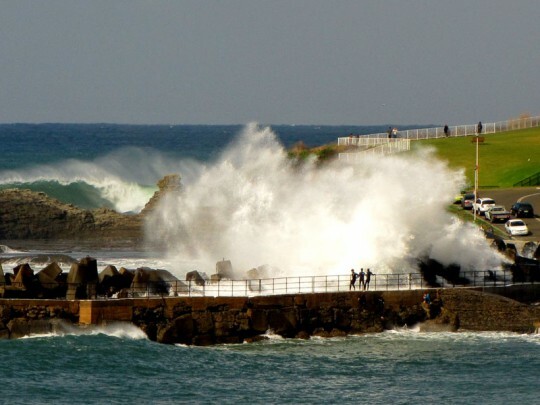 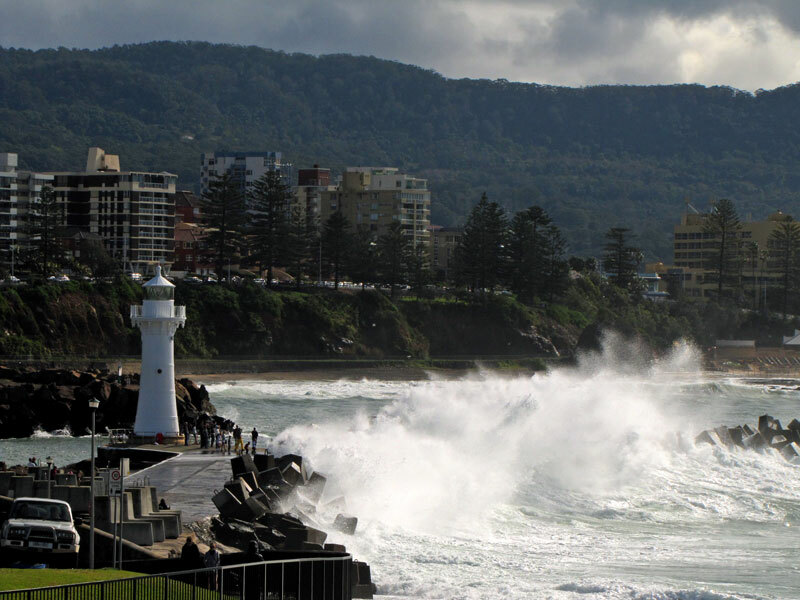 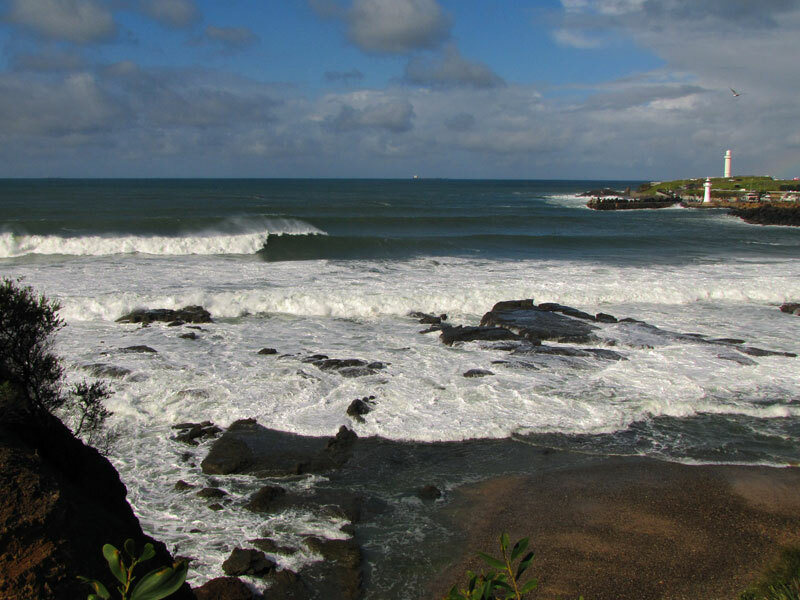 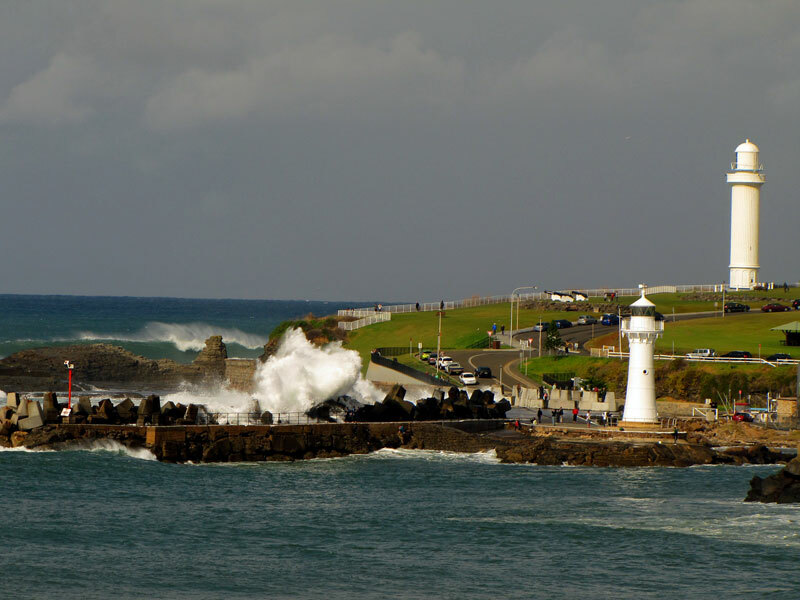 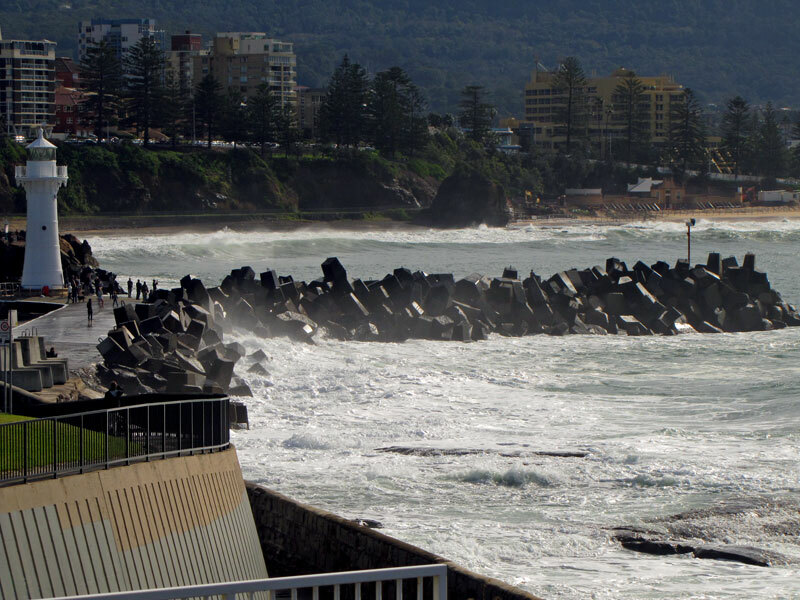 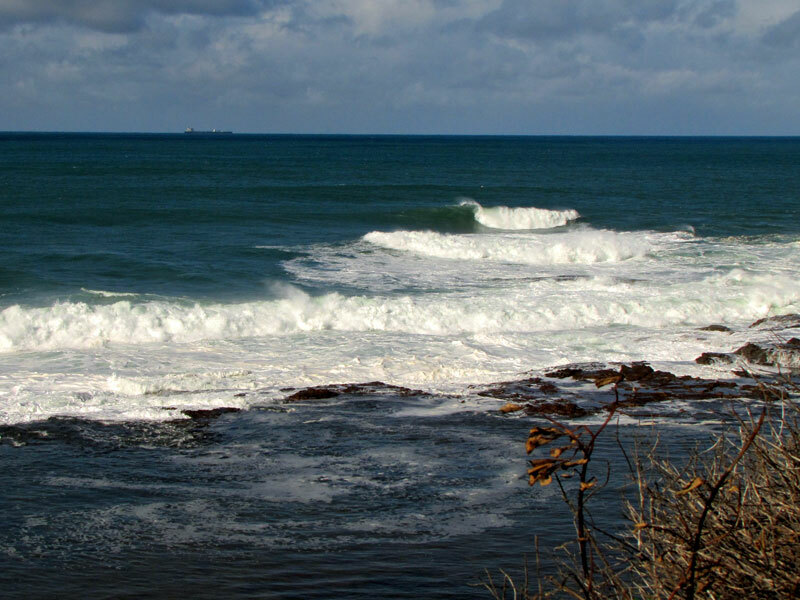 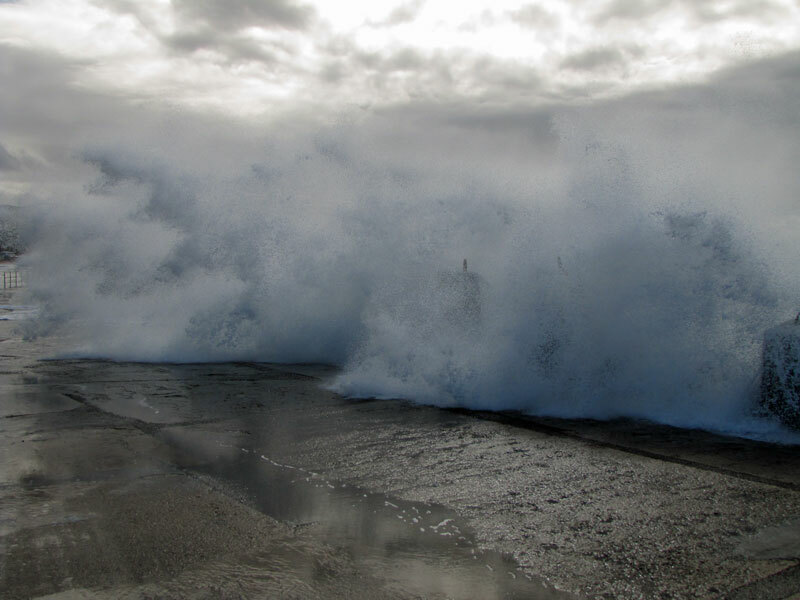 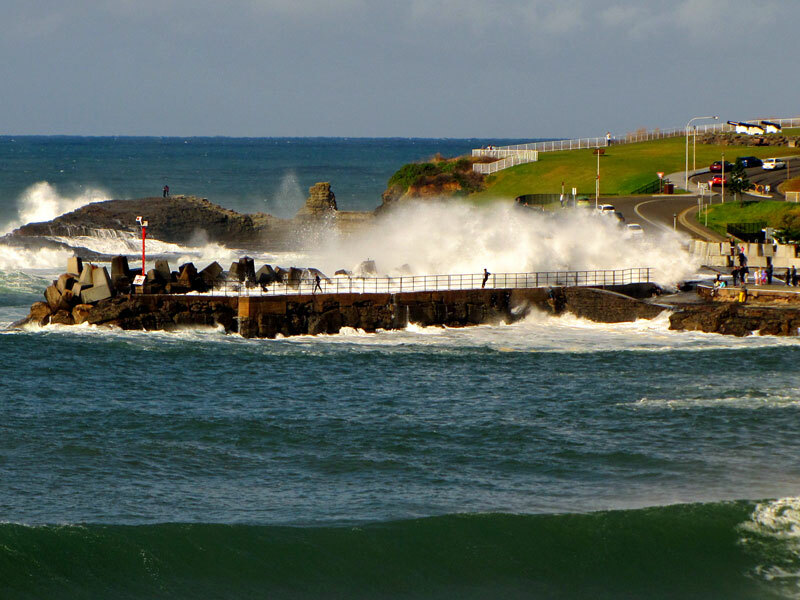 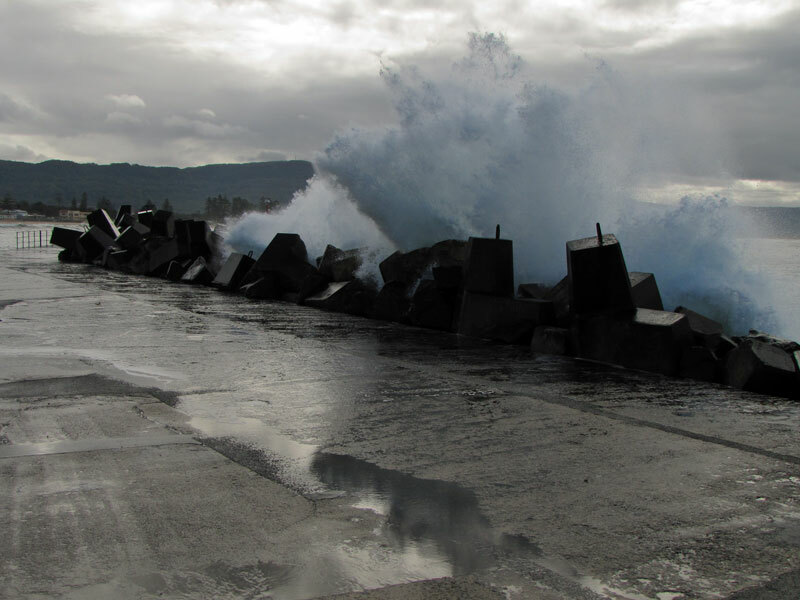 The Illawarra Coastline has experienced a great deal of rain this week. 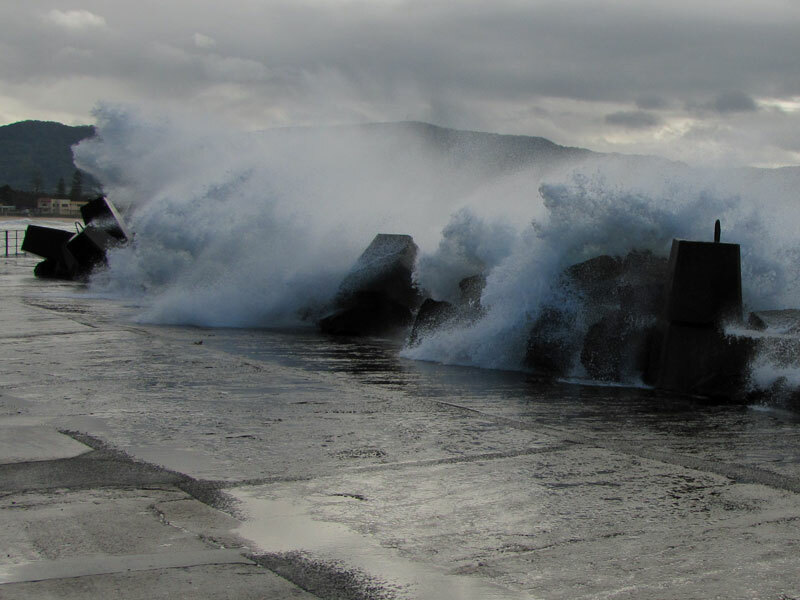 The area has been at the receiving end of high winds and torrential rain at times. 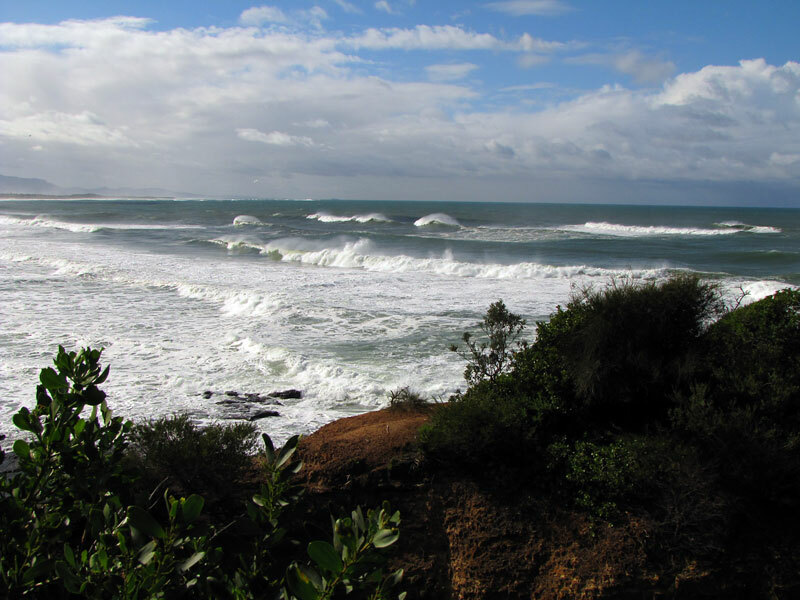 One of the culprits has been a quite intense low pressure system in the Tasman Sea off the coast of New South Wales between here and New Zealand. 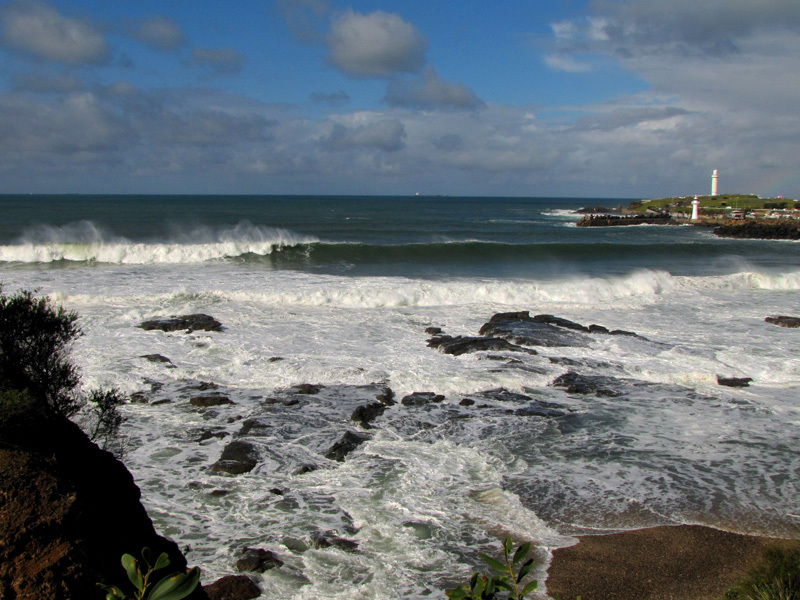 When you have a low pressure system you have big seas with large swells and big waves. 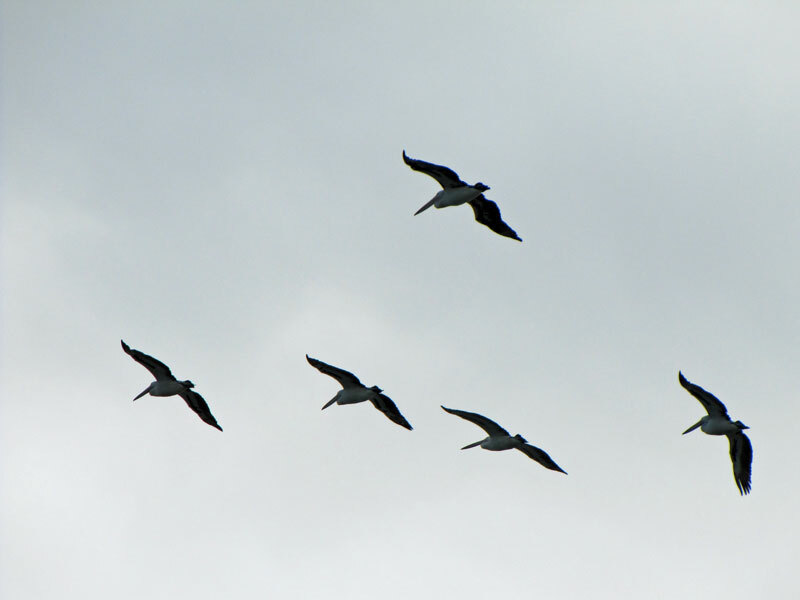 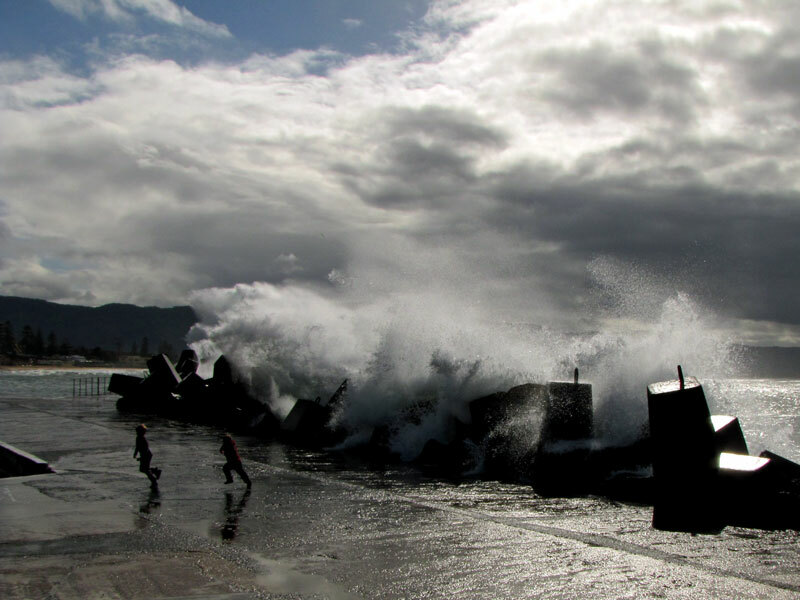 The weather system is on its way to New Zealand now. 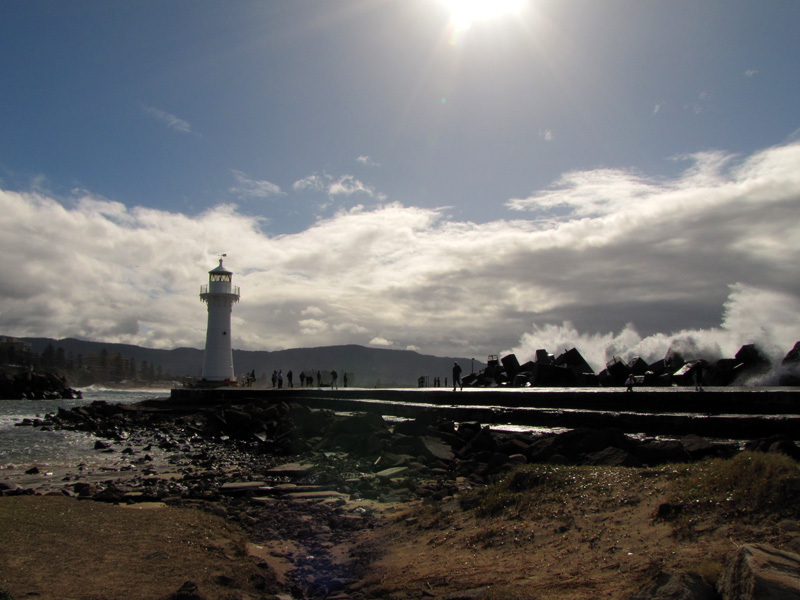 This morning Shao Ping and I went down to the Wollongong Harbour and took the photographs in the post and the gallery below. 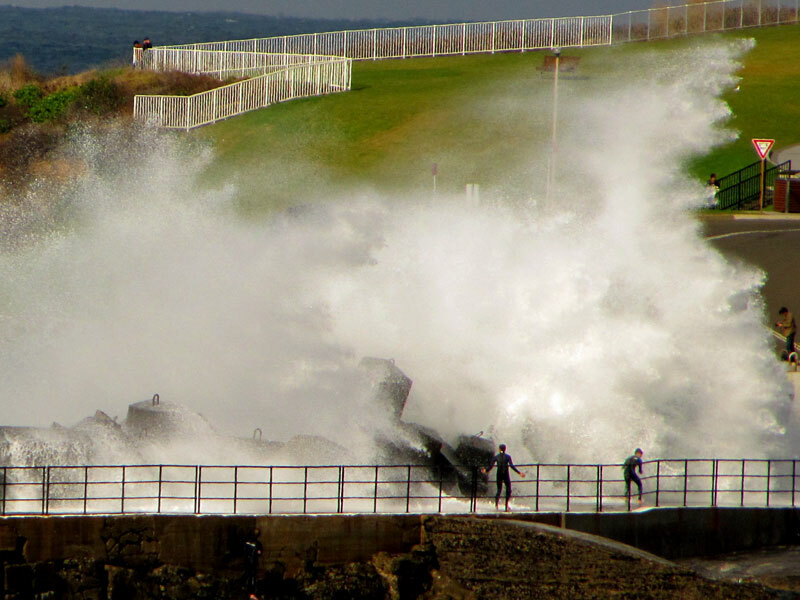 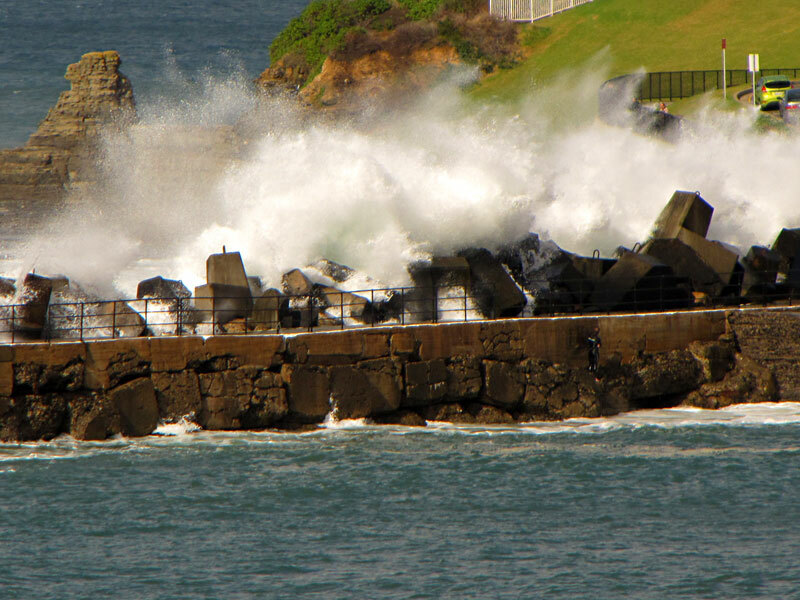 Most of the action happens at the breakwater that protects the harbour. 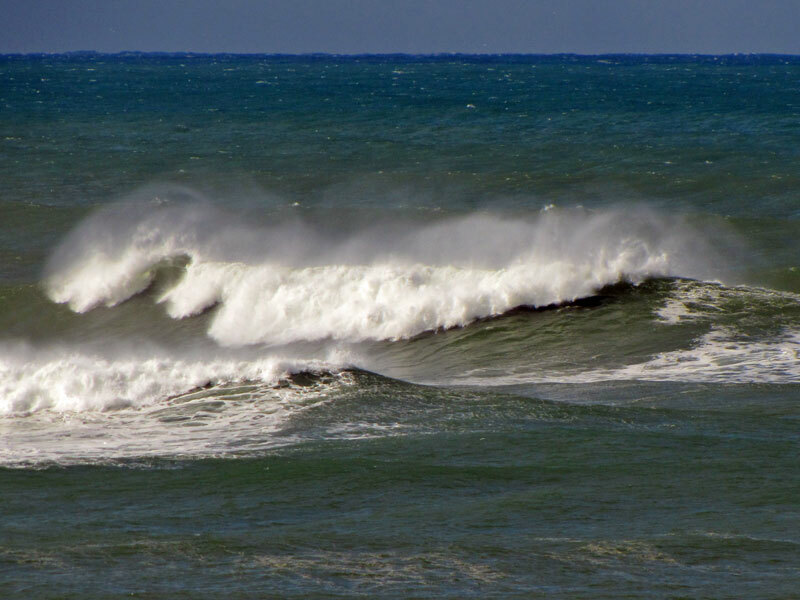 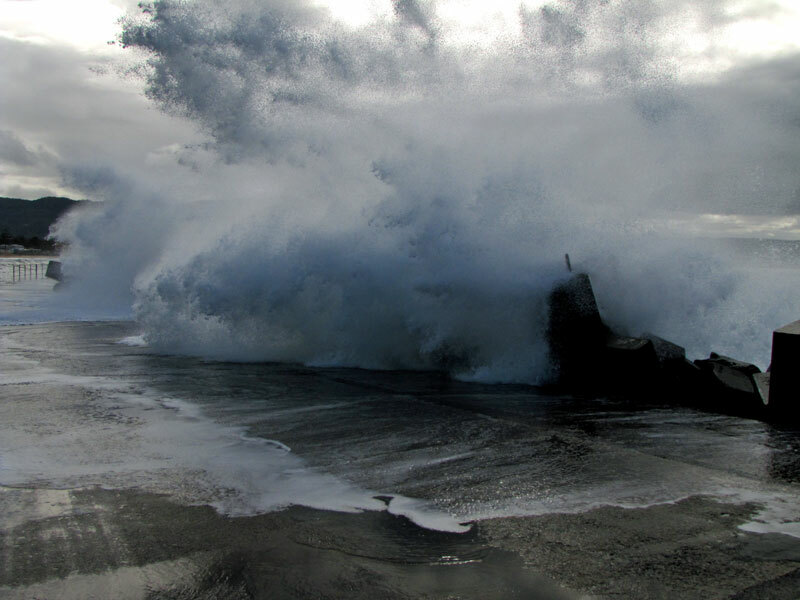 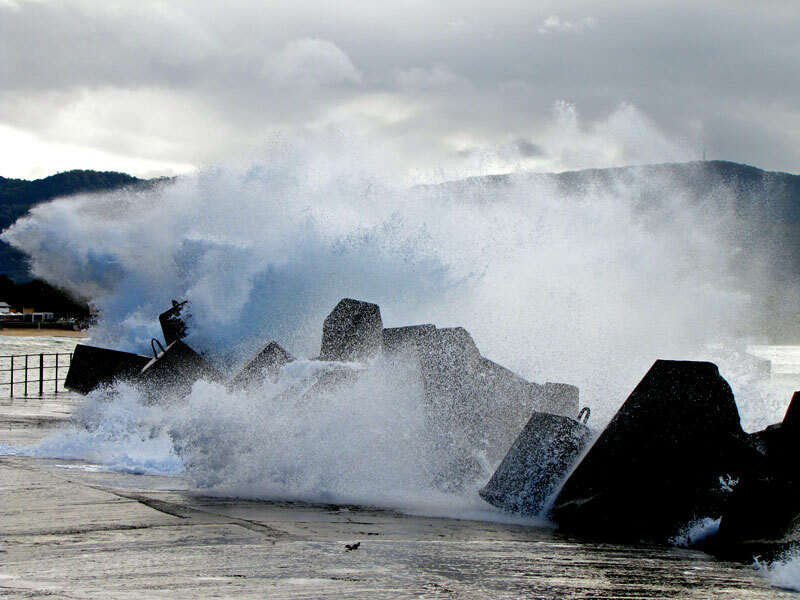 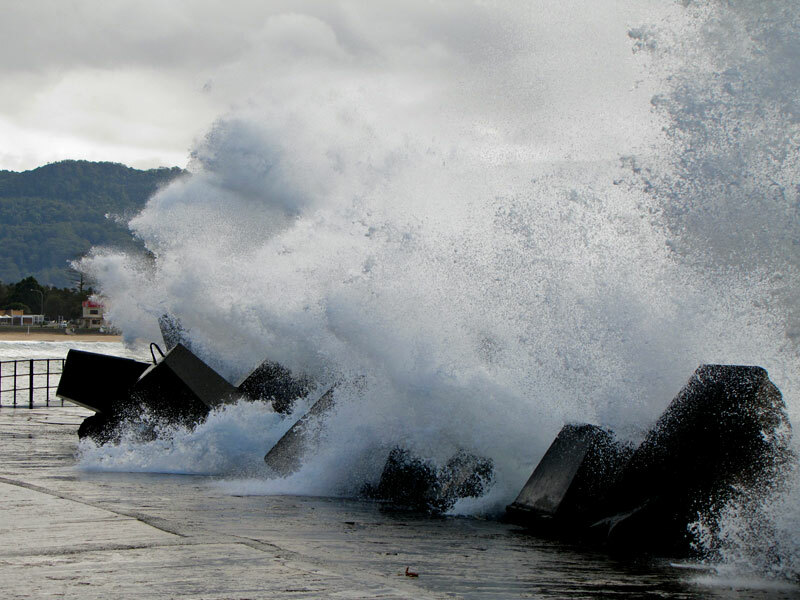 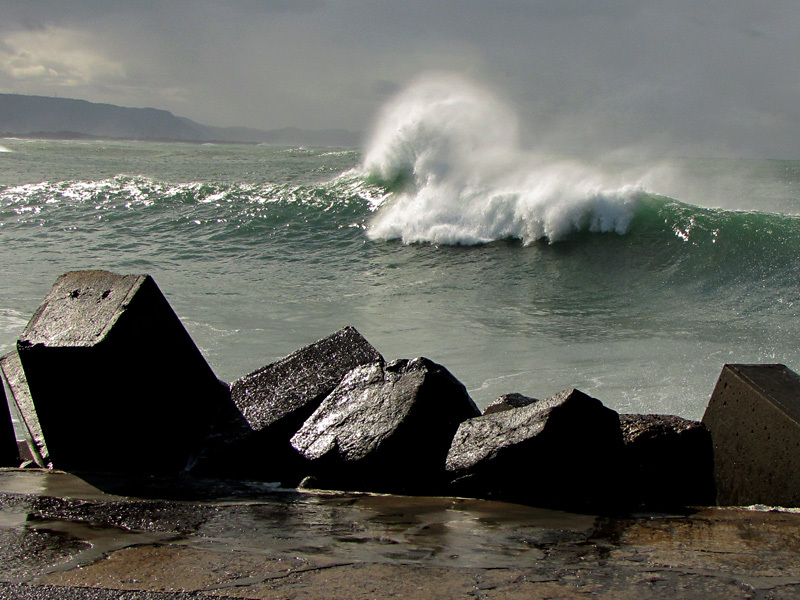 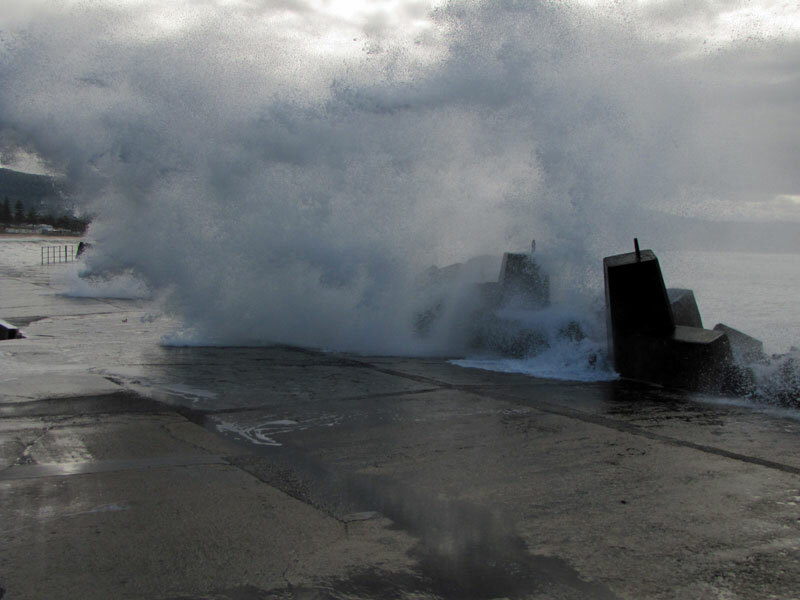 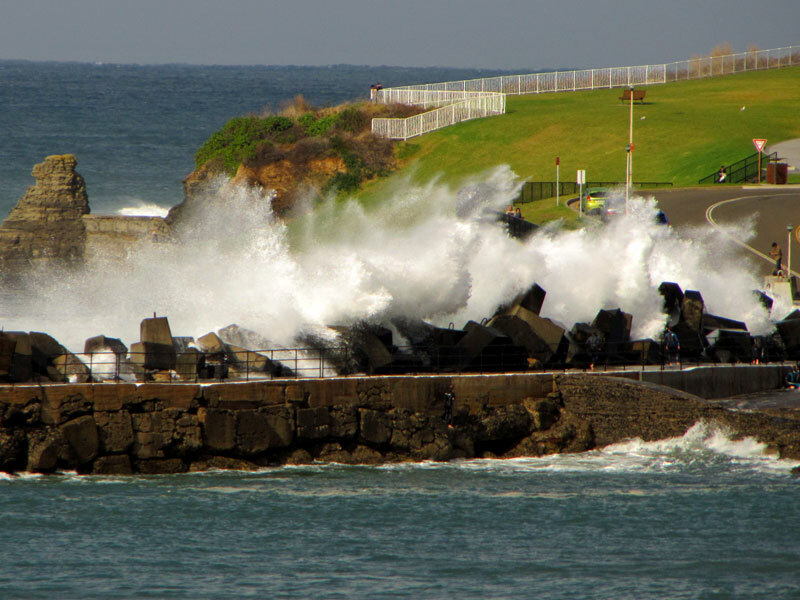 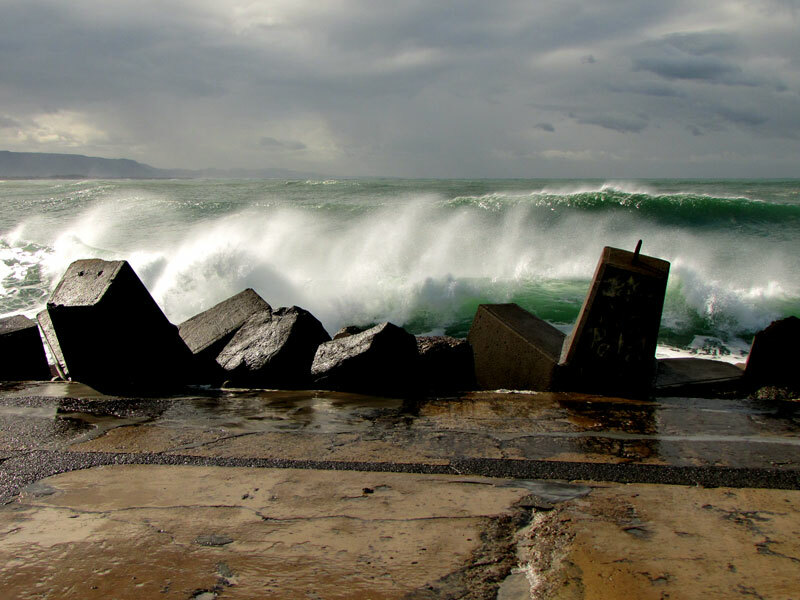 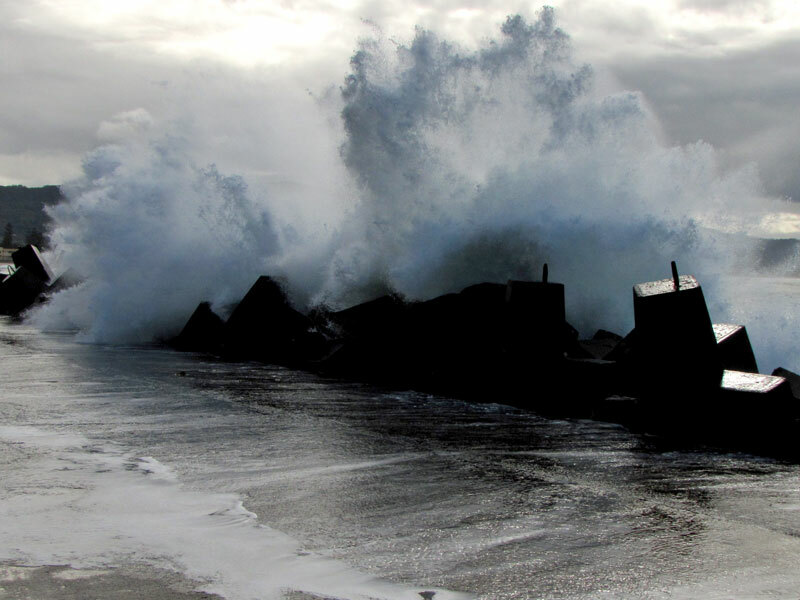 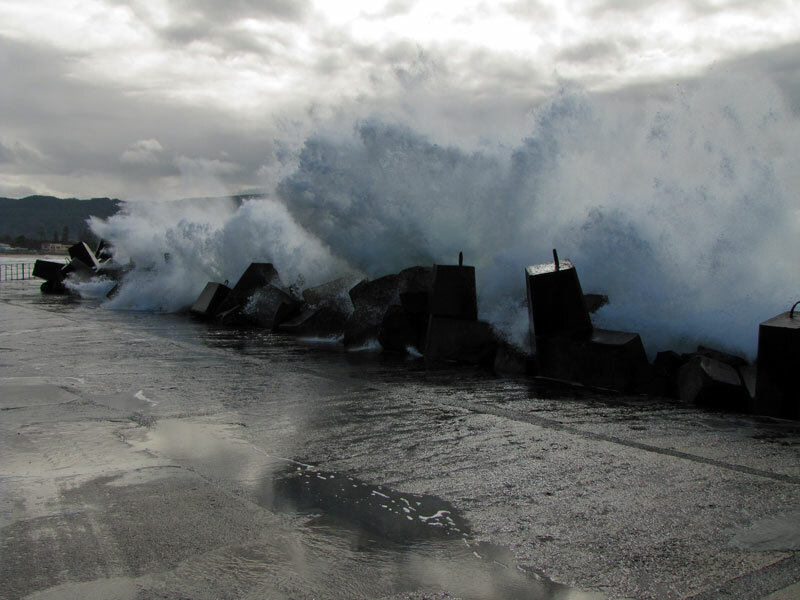 I photographed the waves crashing upon the breakwater from several different angles. 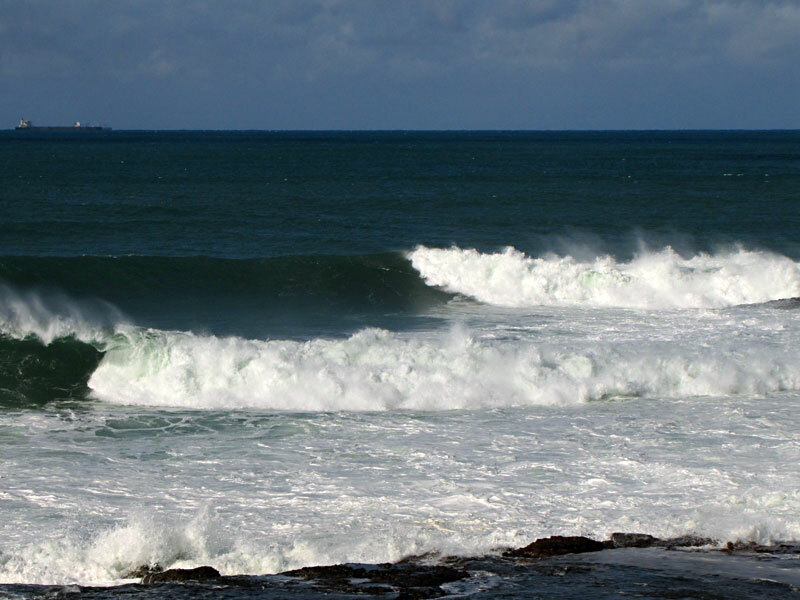 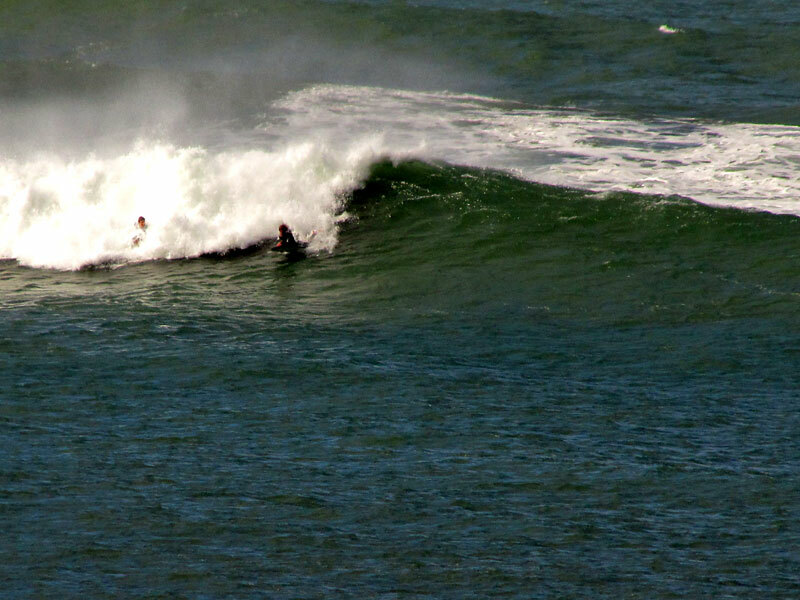 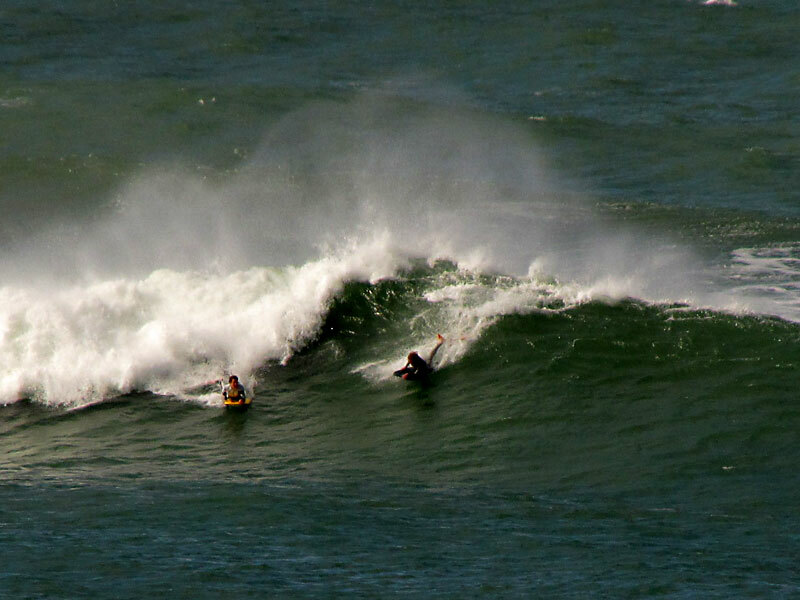 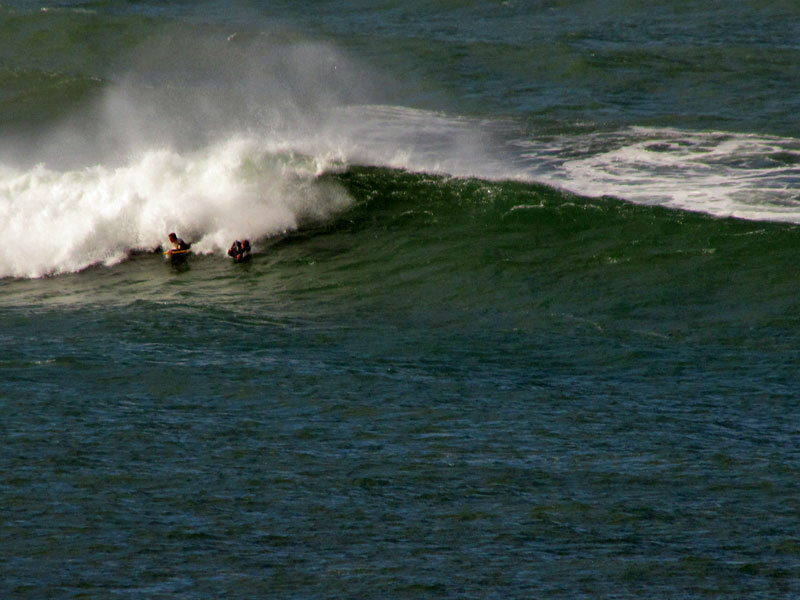 I also managed to photograph two body-boarders catching a wave on the bombora off North Wollongong beach. 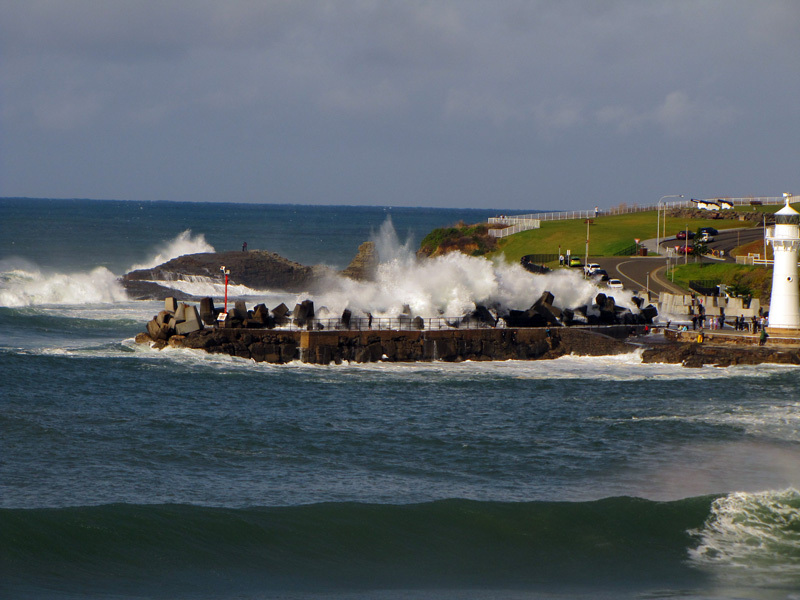 Nice shots of the breakers. 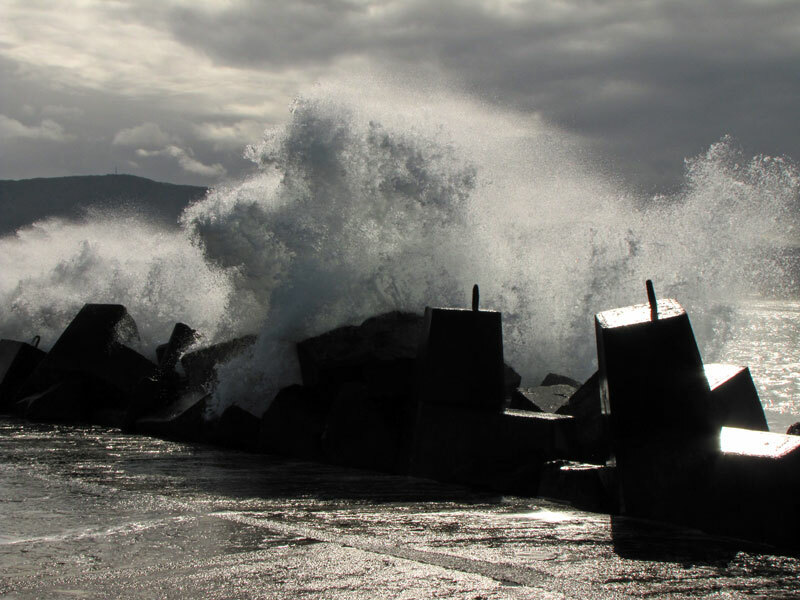 Your captures show the power, chaos and dynamism of nature.